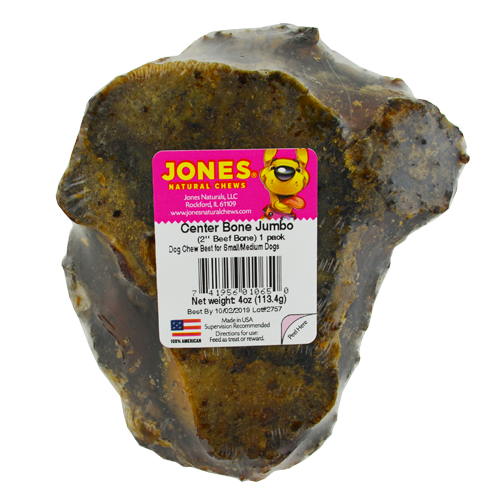 The 2” Jumbo Center Bone is larger than the 2” Center Bone and provides a wonderful chew for small to medium size dogs. These are USA natural bones with no artificial ingredients added. Most of these bones will contain some bone marrow and lots of meaty tidbits! The 2” Jumbo Center Bone is the bottom half of a crown knuckle. All Jones’ products are 100% grown and made in the USA.